i'm not kidding. 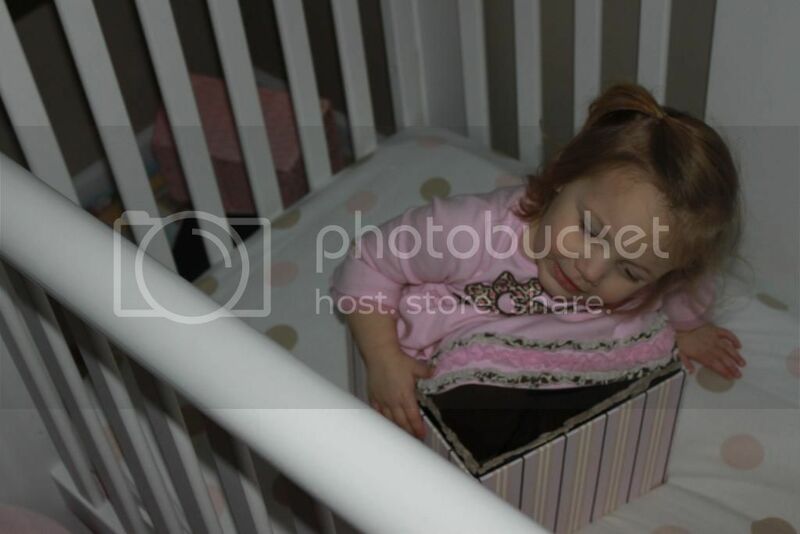 she sleeps like a rock in her crib, but that's after she does her jumping-singing-talking-trick performing-routine. seriously, there are some nights that she goes to bed at 8:15 and at 10:00 she is still in her bed jumping and talking to herself. it's insane! And unless she's suuuuper tired, we pretty much go through the exact same routine at naptime. she goes down for a nap around 1:45 and some days it's close to 3 before she finally settles down and goes to sleep. I'm downstairs during her afternoon routines and it literally sounds like our ceiling is going to cave in. I usually don't intervene unless it starts to sound dangerous. There are many days that I will go upstairs and find her without her clothes, (only once has she been diaperless, thank God!) 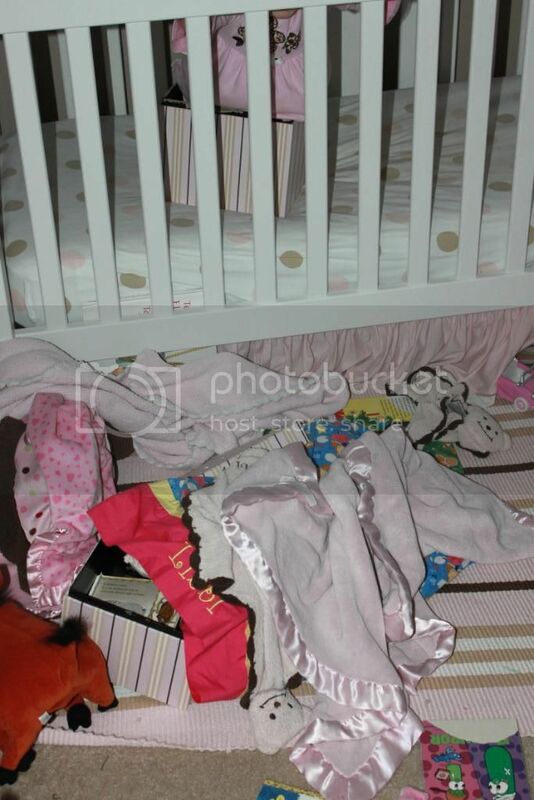 the sheets will be off her bed, books everywhere, etc. She takes pride in how far she can throw her blankets. It's not unusual to find her lovey's on top of the lamp or across the room in her closet. One day last week, I heard the usual jumping, song and dance routine. I even heard a few loud bangs, but nothing too out of the ordinary. About 30 minutes in, she starts yelling my name, "momma! momma! mooooom-maaaaaa!" It's always a little unnerving when I'm summoned upstairs. especially because i have no idea what i'm going to find when i open the door. 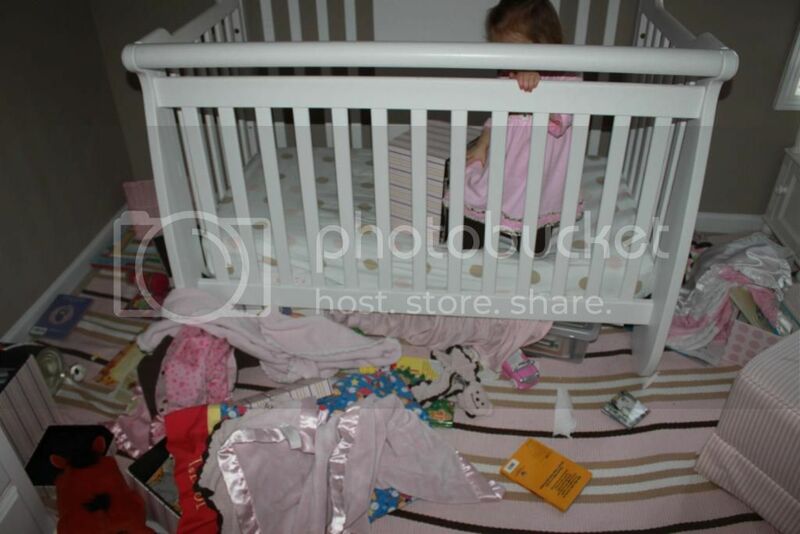 that day, i peeked into her room and immediately went downstairs to get my camera. the scene in her bedroom was definitely worthy of documentation. believe it or not, this was all done without ever leaving the comfort(?) 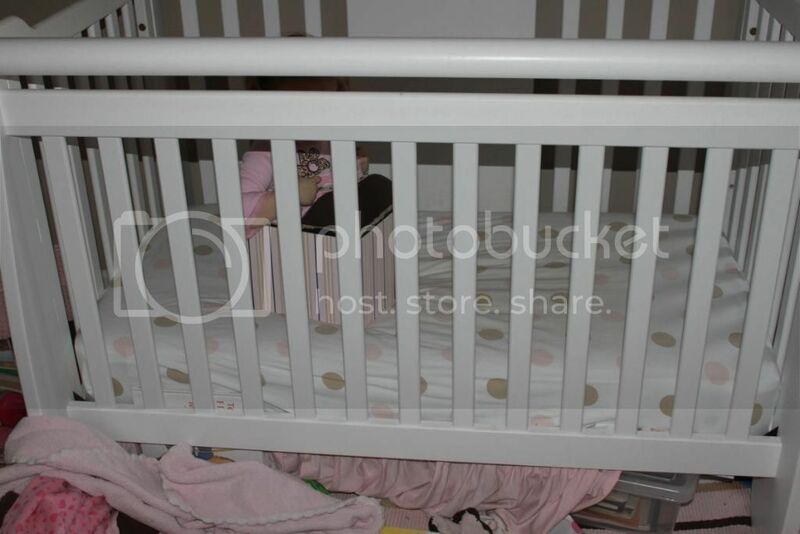 of her crib. and what was sweet little libbi doing, you ask? 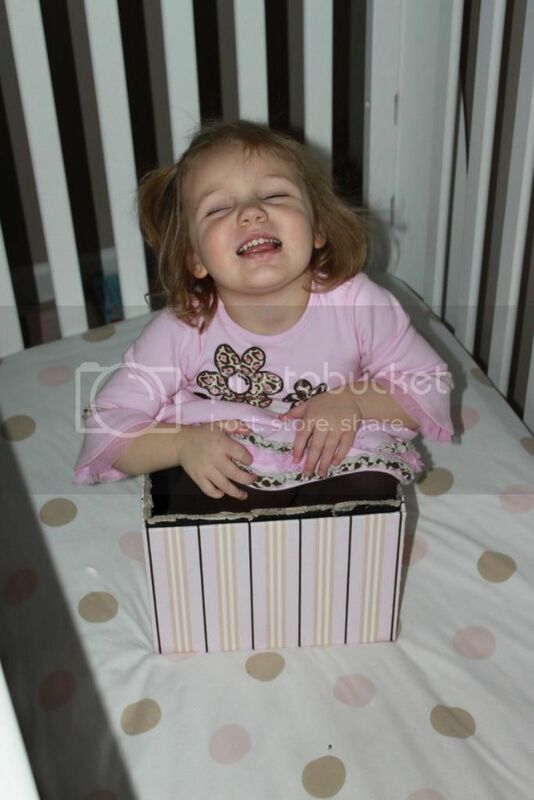 yep, she was IN A BOX, in her bed. and pretty proud of herself, i might add. 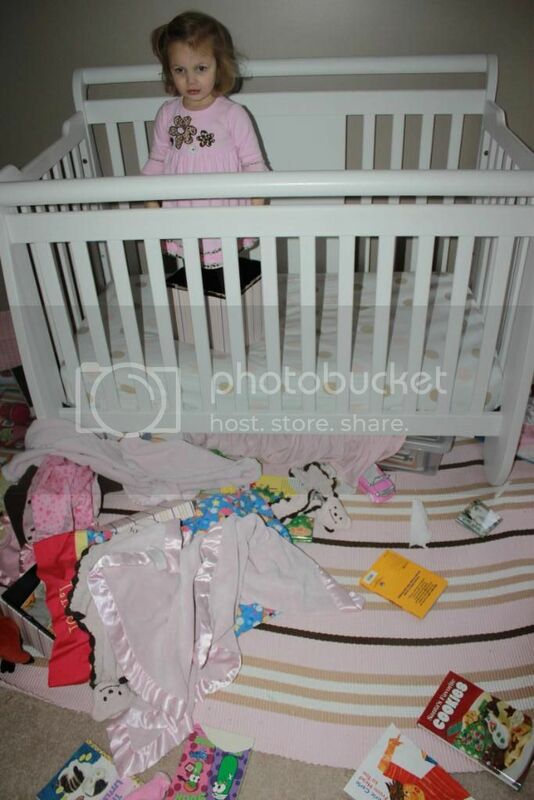 and just like that i decided right there on the spot that she just might sleep in a crib until she's five.